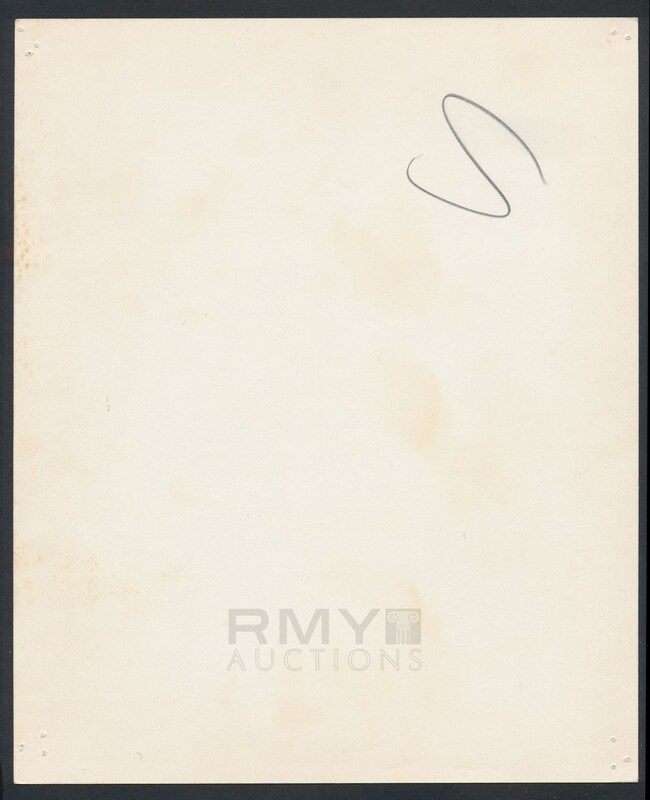 Lot # 73: 1960's Mickey Mantle, "Taking His Place in History" Double Weight New Discovery! 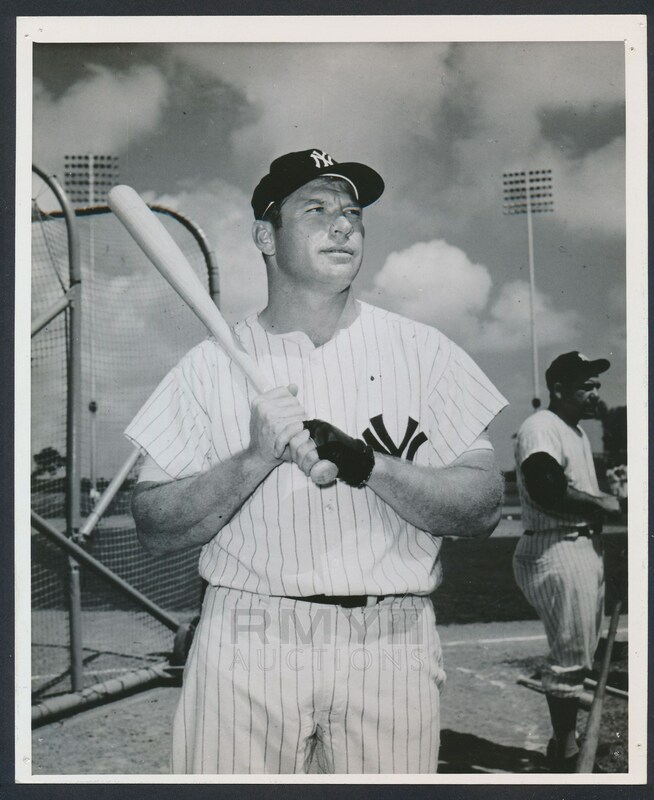 Large 1960's photograph of veteran slugger Mickey Mantle in full uniform as he poses with his bat and waits for his turn in the cage during Spring Training. A double weight original that is unique as far as we know and being offered here for the first time ever, it is from a New York City sports cartoonists' estate and he was gifted the image directly from a photographer at the New York Daily News! The clarity is outstanding and the image presents well despite some pinholes at the corners from the photo being mounted while it served as the model for a cartoon! A special piece of history related to the most popular player of the era.